Liberal/Progressive/Marxist/Communists are much smarter than the rest of us plebes! According to their super-duper marketing guys, Jonathan Gruber (on Obama Care) and Ben Rhodes (on the Iranian nuclear bomb deal); the rest of us are stupid because we believe whatever lies they feed us. LA’s brilliant strategy involves the judicious use of all its weapons: Property Taxes (to soak the middle class who own their homes); Sales Taxes (to soak mainly the poor); Gas Taxes (to soak the poor working class who have to drive long distances to work); and Income Taxes (to soak both the middle class and the poor). And the rich? No problem for them. They live in multi-million homes and drive super expensive cars owned by their private business corporations; and get to expense any and all taxes imposed on them. And both Hollywood and the Tech Industry stash their income in tax-free havens abroad; far away from the reach of California’s taxing authorities. Last December, LA’s homeless problem became absolutely unacceptable because the homeless, living in posh Bel Air’s protected wilderness areas; set fires* that burned down a number of the Hollywood elites’ homes. Problem: Ever increasing numbers of homeless living on LA’s streets, the pavements outside people’s homes and in its bone dry wilderness areas; defecating, urinating, using drugs; discarding needles and other drug paraphernalia; generating mountains of trash; and spreading communicable diseases; exactly like in Third World sh–hole countries. Solution – More taxes are needed! The City of LA conned the voters, raised taxes & extracted Billions. It promised to absolutely, permanently, fix the homeless problem if the voters passed Measure HHH, which raised property taxes by $9.64/$100,000 of assessed valuation and funded a $1.2 billion bond. 18 months later, they “discovered” the homeless were mostly addicted. They increased sales tax by ¼% to 10% and got another $350 million/year for homeless mental health and addiction services. Billions are spent on funding addiction services. But no stats are available of the numbers of homeless who are addicted and refuse to stay in any shelter or take their medications. Even worse, no stats are available for how many addicted people are actually cured using these tax payer billions. Stats are collected on the number of homeless, possibly because that relates to receipt of Federal Tax dollars. But cities do not keep stats on the number of homeless who have died. * Nor are there any stats on the number who die of drug or alcohol overdoses. Problem Exacerbated: In 2016, homelessness increased by another 20%. * The homeless count found the population had spiked by 5,698, or about 20 percent. Problem #1: It destroys local businesses: CBS News reported local restaurant owners complained bitterly that transients already hurt their business; and that the trailers will make the situation far worse. Problem #2: It is stupendously expensive: It costs Orange County $780,000/month to house the 700 homeless evicted from the Santa Ana River in 400 motel rooms. It would cost LA about $49.2 million/month or roughly $600 million/year to house its current homeless population in motels or trailer parks. And where would they put these trailer parks? Most likely, in the San Fernando Valley; where the politically impotent live, because their districts are gerrymandered to include rich liberals in the West Side & Bel Air. 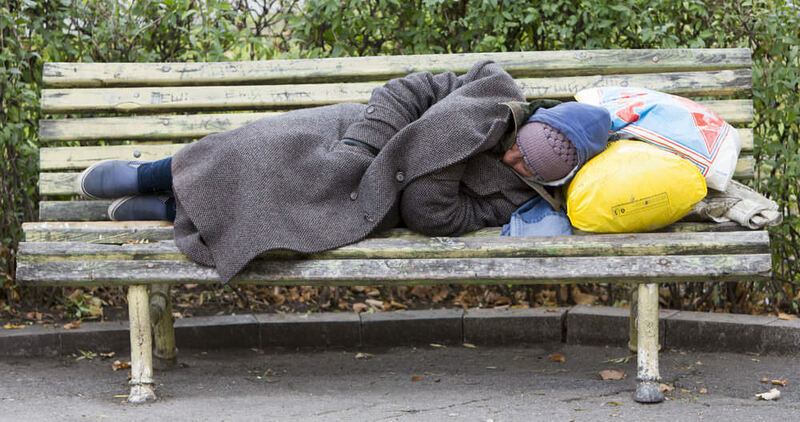 Problem #3: Homelessness spreads dreadful contagious diseases: In San Diego alone, the latest California Public Health report found Hepatitis A had spread to 703 new cases, 460 hospitalizations, and caused 21 deaths. Really New Solution – Yet more taxes are needed! LA must extract yet more money. And keep repeating as “needed”, until the middle class and the working class are bled dry. America’s Free PressWas One Florida School Shooting Account FAKE?